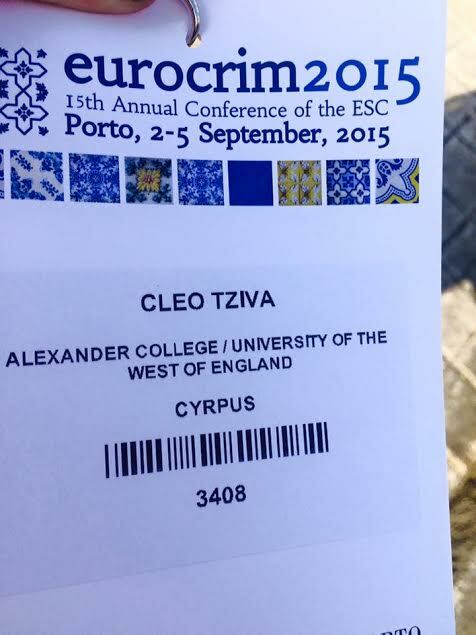 Congratulations to our 3rd year Criminology student Cleo Tziva, who is attending EUROCRIM 2015, the 15th Annual Conference of the European Society of Criminology in Portugal. 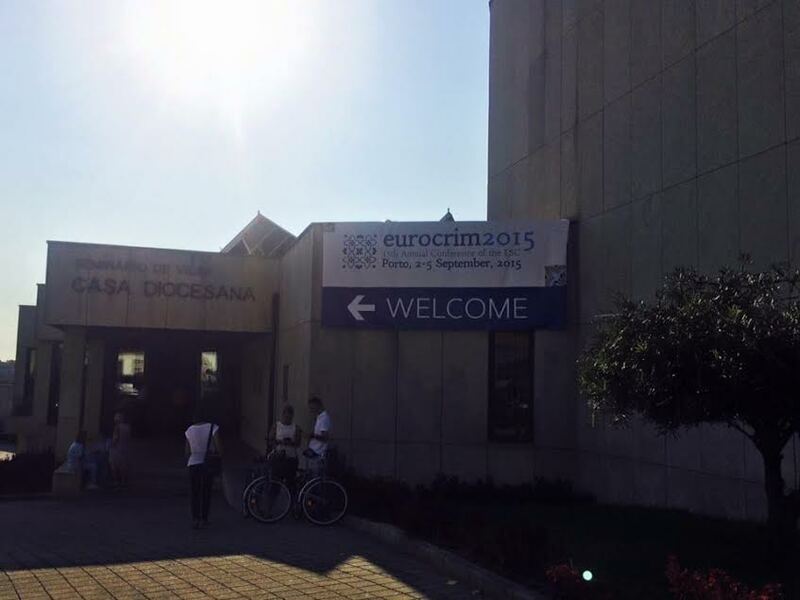 This is the third year in a row that Alexander College – UWE Criminology students have attended international Criminology conferences abroad, including Greece, Czech Republic & Portugal. The course leader of Criminology at Univuresity of the West of England at Alexander College, Mrs Claire Hadjikou said “I am extremely proud that students are putting the knowledge gained at Alexander College into practice. It is our aim here at Alexander College to see that our students not only complete their degrees, but also reach their full potential and maximize their exposure to the field of Criminology, therefore their attendance at such conferences is fundamental to this goal”.